Pretend you are Dutch and get into a severe car accident in France. Doctors in the hospital need to get an overview of your medical history – previous diseases, medicine prescribed for you. What if you are not able to give that information? During this ordeal, all of this data is in the computer of your family physician in Copenhagen, but it cannot help you in the time of need. Or take Estonian EU officials traveling to Brussels, unable to buy an important medication prescribed for them. For Estonians it is even worse – medical prescriptions are digital and are easily accessible in every pharmacy in Estonia. All you need is your ID-card. But you cannot access the prescription drug elsewhere in Europe. For the latter reason, Estonians have taken an initiative to develop a research based e-health system that makes everyday life in Estonia very convenient for every citizen – why keep good digital solutions only for oneself if there is the possibility of making a better solution for other Europeans. And also for Estonians all over Europe. Having a digital medical history or getting a prescription drug from any pharmacy is the tip of the iceberg for the Estonian initiative of a personal medicine platform currently, which is in development. 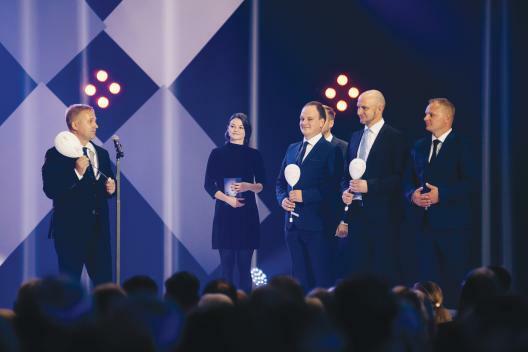 Estonia has 17 years of history with the Estonian Genome Center, a science-based institution for genome research at the University of Tartu, holding genetic samples of five per cent of the Estonian adult population. This genetic information has been analysed, is kept digitally, and is also linked with different databases of the National Health Information System, hospital records, family physicians’ records, etc. ‘For research projects it is working brilliantly,’ says Ain Aaviksoo, Vice-Chancellor of the Estonian Ministry of Social Affairs. The researchers of the Estonian Biobank are publishing on a weekly basis in distinguished science journals: Nature and Science among others. How does an article in a top science journal help public health? 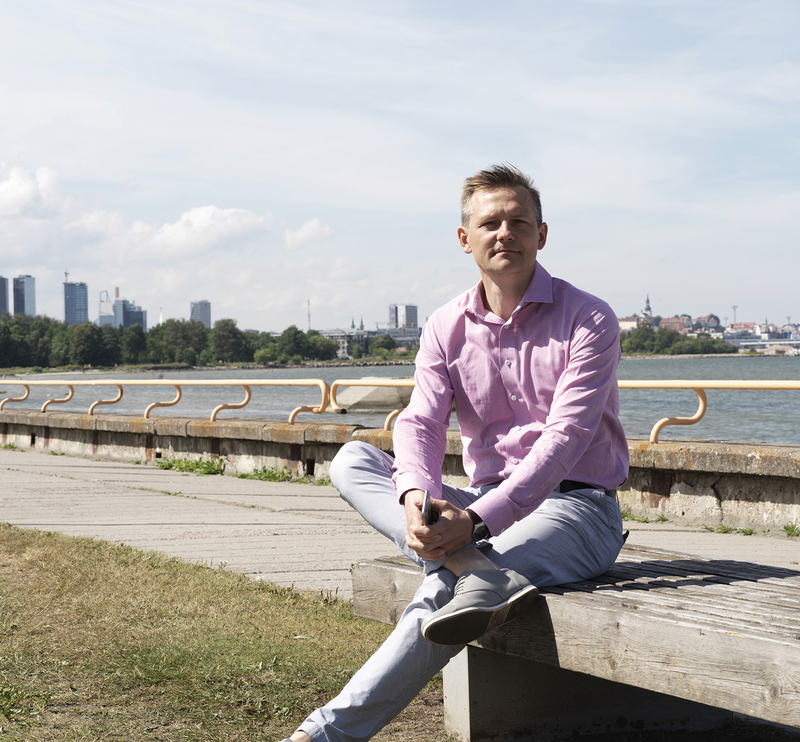 ‘This was the first part of personalised medicine in Estonia. And I can say that not many countries have reached this far,’ Aaviksoo replies. These 17 years of scientific research have paved the way for putting this into clinical practice. Starting from July 2017, the hospitals, healthcare providers, and other researchers started implementing personal medicine utilities in two areas of personalised medicine: precision prevention for breast cancer and precision prevention of cardiovascular diseases. This is based on genome information, not just screenings. Let’s explain this with the example of breast cancer. There is a range of age for women who are screened for breast cancer. If we add genetic information, then the age limits become wider and the cancer can be detected at an early stage. ‘And it also becomes cost effective later in life,’ Aaviksoo notes. This is an example of what the implementation of personalized medicine means: it changes the communication and relationship between healthcare workers and patients, it changes the clinical work-flow, and it also changes IT infrastructure. This is where IT experts became involved. 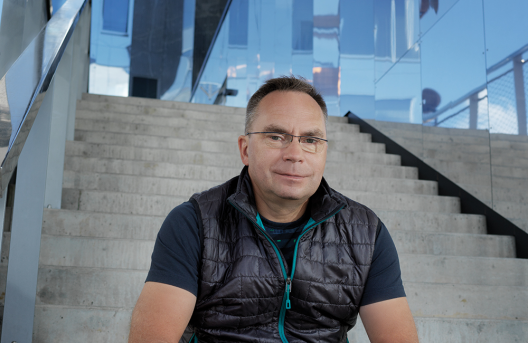 Erkki Leego is a leading partner and expert at Leego Hansson IT management and consulting company that also helps the Estonian Genome Center store and secure the data. Biobanks are nothing extraordinary in the world. But what makes the Estonian Genome Center exceptional is that they also collect the donors’ health data years after the DNA sample was given. This is possible without the person coming to the centre – the data is taken from the donors’ e-health databases, with the consent of the donor, of course. Erkki Leego is the IT manager behind the system of how the data is provided for scientific use and how the security of the data is guaranteed. On one hand, the genome and any other health information is never personalised for scientific use, which enables precise predictions based on large scale data analysis. On the other hand, the donors get personalised feedback on their genetic predispositions for diseases and drug intolerance, based on genetic testing and various health information located in different databases. Erkki Leego and Ain Aaviksoo confirm that no other country in the world has been able to come this far. ‘Because they have to build up the system based on scientific research and understanding, and then they can start implementing. We are ahead with this first phase,’ describes Ain Aaviksoo. The e-health system, therefore, is a collaborative project between the Ministry of Social Affairs, the Genome Center, and private enterprises. And it is largely funded by the government – why? What is the benefit for the public sector? For the state the benefit lies in better public health, which in turn means a decrease in healthcare costs for society, and from the entrepreneurial perspective it gives Estonia a good export article. This e-health platform is science-based, tested on a very model society, and proof of concept, in other words: ready to use. Erkki Leego explains the digital decision support system (DDSS) that enables the comparison of genome-wide data with the phenotypic or, simply, patients’ medical data. A year ago this was only on a testing platform, but since this summer the DDSS has become a tool for medical workers and has been utilised by doctors in order to model recommendations based on genotypic and phenotypic data of similar, previously treated patients. The companies, who should be on the alert, are large IT companies who are able to mine and analyse big data. It is an opportunity to develop tools that can provide this sort of information. But this is also a chance for biotechnology companies that offer personalised tests and diagnostics. While the genome information is usually standardised and therefore usable for analysis, the issue of using a patient’s medical history or epicrisis data may be more difficult. The epicrisis of a patient is usually written partly in a native language. For example, you may find a doctor’s description of a patients visit: ‘complains of stomach ache, possible bowel inflammation’. For data analysis a more standardised description is necessary. Fortunately, for these sorts of diseases or chronic illnesses an international coding system is available and that is already standardised data that the computer can make sense of. It enables the comparison of the genome data with data from different databases, e.g. the history of medical prescriptions or a patient’s medical history database. The whole picture, or as it is said in personal medicine – a precise picture of a patient – will develop in this data comparison. The process of standardisation is already happening and it is called data normalisation. It also makes use of language technologies, precisely standardising data from native languages to international codes of diseases or pharmaceuticals. This demands a cooperation of different companies with a global reach. Many of those global and international companies have already reached the e-health platform development and are contributing and also benefiting from the Estonian health innovation ecosystem. Over 70 partners of R&D companies, universities, startups, health and wellness service providers, user communities and patient organisations have joined Connected Health, a countrywide partnership between health-related stakeholders. Among others, biotech companies like Bayer, Synlab and GlaxoSmithKline Estonia; IT companies like Nortal, Health Circle and StatFinn. And all of this is bound together with the public sector, ministries responsible for healthcare, entrepreneurship and national health. People visiting Estonia, especially from the US, often ask who owns the data of the Estonian Genome Center or e-health systems? It is an absolutely appropriate question, considering the delicate health information the data contains. Moreover, the question is who can access and use the data and can this be an issue of privacy violation? Ain Aaviksoo says that ten years from now, both in Europe and United States, the health system will use decentralised patient controlled management of data. That still does not give a satisfactory answer to the previous questions. This still leaves the question of data ownership. So who owns the data? The owner of the data controls the data and therefore the owner is the patient. Coming back to the issue of how a Dutch person or an Estonian could benefit from an e-health system in their home country as well as elsewhere in EU. The Netherlands is already making arrangements to introduce e-health solutions, benefitting from Estonian knowledge on the matter. Finland has connected their e-health databases with Estonian databases through X-road, which enables Finns to also buy medicine on digital prescriptions from Estonia and vice versa; Estonian and Finnish administrations have established systems that enable the exchange of health certificates and other state registered digital documents on the demand of citizens. Therefore, the e-health platform is already proven to work across borders. How could other countries benefit from it – this is one of the topics at the high-level conference on e-health ‘Health in the Digital Society. Digital Society for Health’ that will be held in Tallinn on 16 – 18 October. The conference is part of the agendas discussed for the period of the Estonian Presidency of the Council of the EU. It addresses topics such as how digital technologies and the wider use of health data change our lives and methods of healthcare.